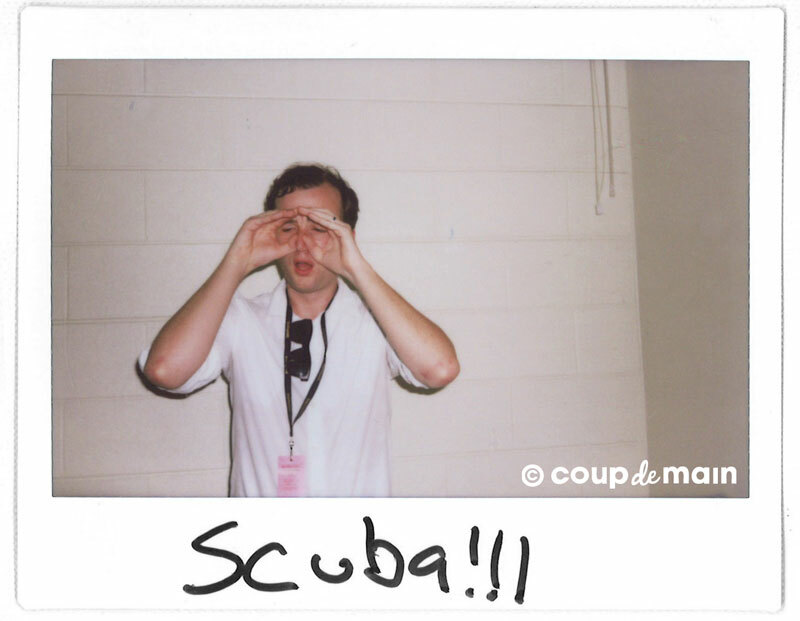 Interview: Vampire Weekend's Ezra, Baio, CT & Rostam backstage at Big Day Out '13. It's 45.3 degrees Celsius - a.k.a. 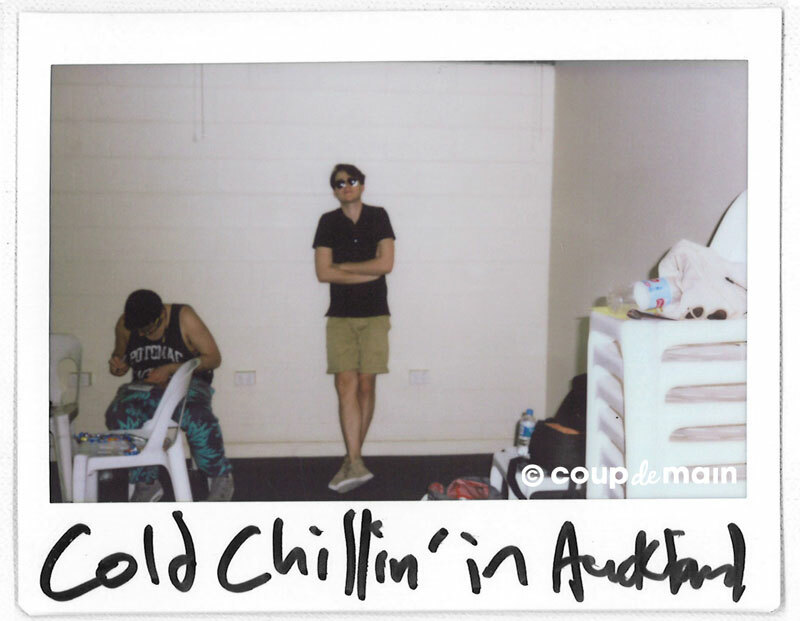 the hottest day on record in Sydney, Australia - and poor Vampire Weekend are confined to a sterile backstage room with no air-conditioning for the next fifteen minutes. 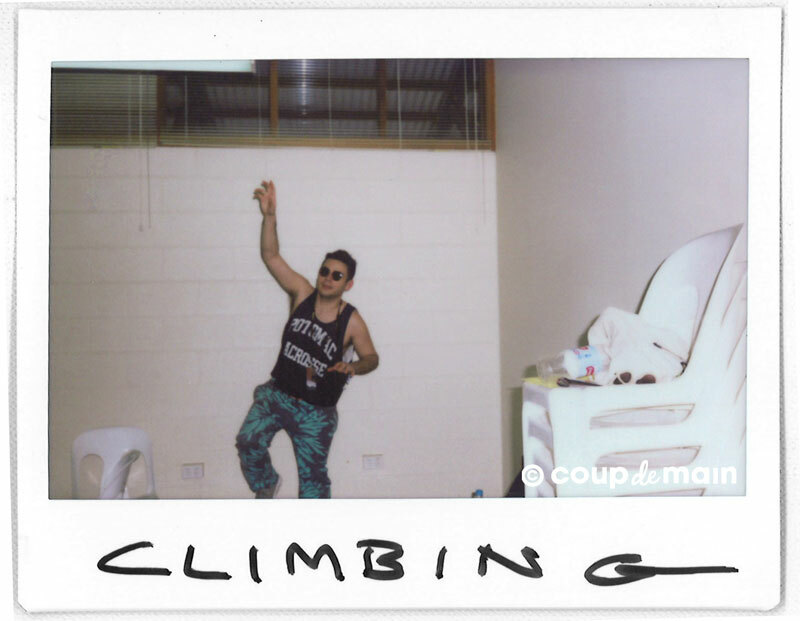 Frontman Ezra Koenig dubs it a "tropical prison". The band are touring the Big Day Out festival circuit in advance of their upcoming new album 'Modern Vampires Of The City' - whose name refers to the opening-lines of [Jamaican reggae/dancehall musician] Junior Reid's song 'One Blood' - treating audiences to performances of new song 'Unbelievers', as well as 'Everlasting Arms' for a lucky few at their Sydney side-show. A myriad of words from "spooky", "darker", "more organic", "rockabilly-styled" and the “third chapter in a book” they've been writing, have all been quoted [and re-quoted] in early descriptions of the band's new album. But one of the few things that we know for sure, is that Angel Deradoorian [formerly of Dirty Projectors] will feature on 'Modern Vampires Of The City'. Multi-instrumentalist Rostam Batmanglij recently revealed via his Twitter during a Q&A session with fans: "angel dizzy dizzy d sings a lil on it, we have some horns too for the first time". But most importantly, we know for a fact that every track that's been debuted from the new album so far - either live, or via an online stream - is a supreme earworm. From the harmonies of 'Unbelievers' to the slow-jam 'Everlasting Arms', to the vibe-y 'Ya Hey', 50s progression reminiscent 'Step' and dumbfoundingly next-level 'Diane Young' - the album's lead-single which somehow manages to be the sum of everything I've always wanted in a song, but just didn't know - they're all [very] good songs. "...on this album we did record handclaps as a band in a studio with headphones on, which we've never done before..."
COUP DE MAIN: Baio! When we last spoke, you promised that Vampire Weekend would be returning to New Zealand in 2013. Are you still going to make good on that promise? 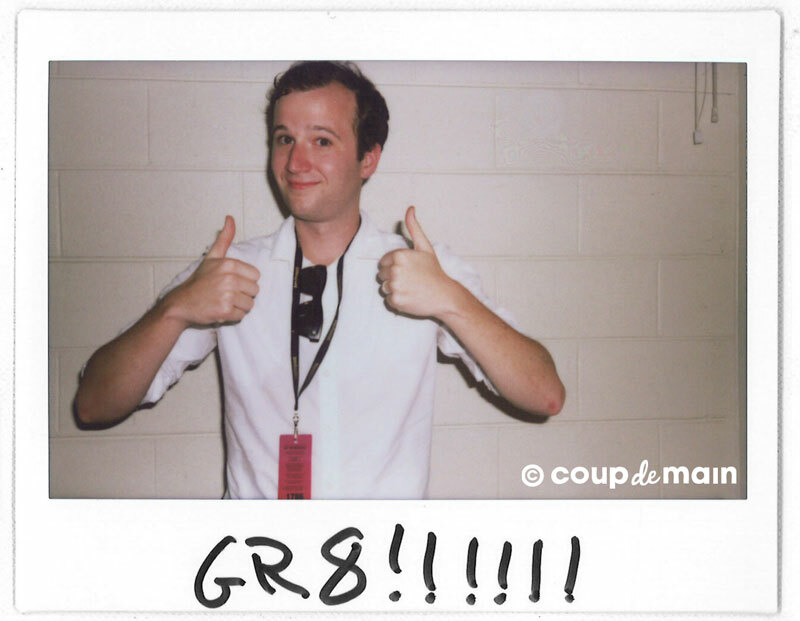 CHRIS BAIO: We'll see... we'll see. Hopefully! CDM: We're now going to play a game of 'True or False?'. I'll read out a statement and you tell me if it's true or false... The new Vampire Weekend album will be released in New Zealand within the next 5 months. EZRA KOENIG & BAIO: True. CDM: The new Vampire Weekend album has inspirational lyrics. CDM: There is a rockabilly-style song on the new Vampire Weekend album. CDM: There is a law that dictates if Jay-Z slow-raps on a Fall Out Boy album, then Morgan Freeman must feature on a B.o.B. album, which means Tu-Pac handclaps on the new Vampire Weekend album. 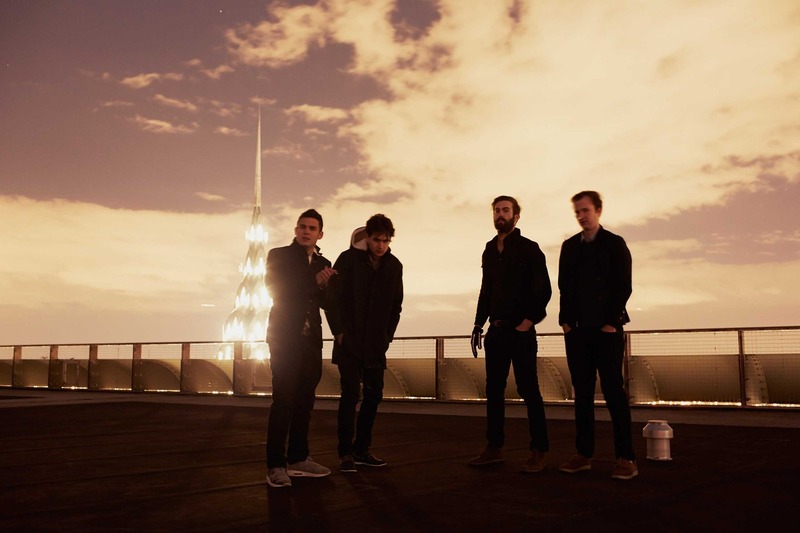 ROSTAM: That's not true, but on this album we did record handclaps as a band in a studio with headphones on, which we've never done before I don't think. Had we? BAIO: I don't think so. 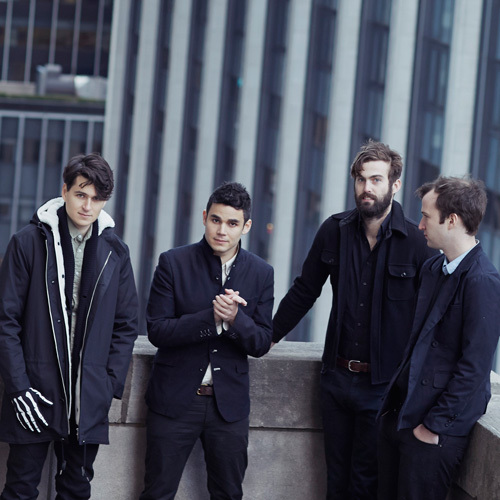 ROSTAM: And we actually had a photographer in the studio that day, so there's photos of us all clapping. 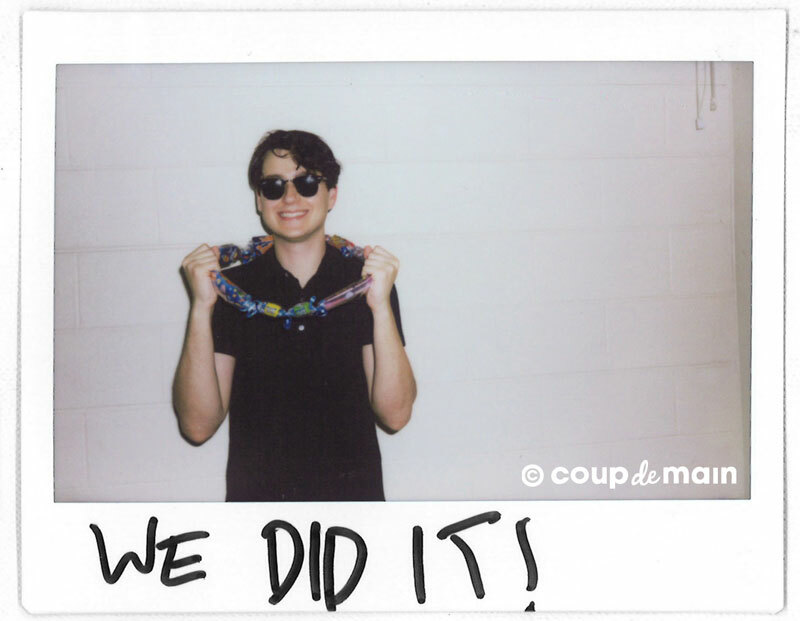 CDM: The new Vampire Weekend album took more than twenty months to create because it is 100% awesome. BAIO: <scrunches face up> Yeah. CDM: Do you have a favourite song on the new album? ROSTAM: We've done a few interviews where we've named some songs, so maybe we'll just say of the songs we've already mentioned names, we'll choose. Does that work? Of the songs that we've mentioned, I think maybe my favourite is 'Don't Lie'. BAIO: That's actually my favourite also, on the album. ROSTAM: You don't want to mention it? EZRA: No, I'm nodding in agreement! CT: I'll make that a four-way tie. CT: I'm going to make it four[-for-four]. CT: This is kind of an obscure one, but there's a band called The Band - and the bassist for that band I sort of fell in love with in my formative college years. His name was Rick Danko. BAIO: Same high school, right? EZRA: Yeah he also went to my high school. CDM: But he's got a divorce curse. EZRA: Well, it's probably tough being married to somebody like Tom Cruise. But it'd probably be easier to be friends with him. So that's why I have a friend-crush. BAIO: I'll say Flea, because he's kinda front-of-mind right now. I met him once very briefly and he was extremely nice, and I'd hope that he could carry that niceness into a full-fledged friendship. 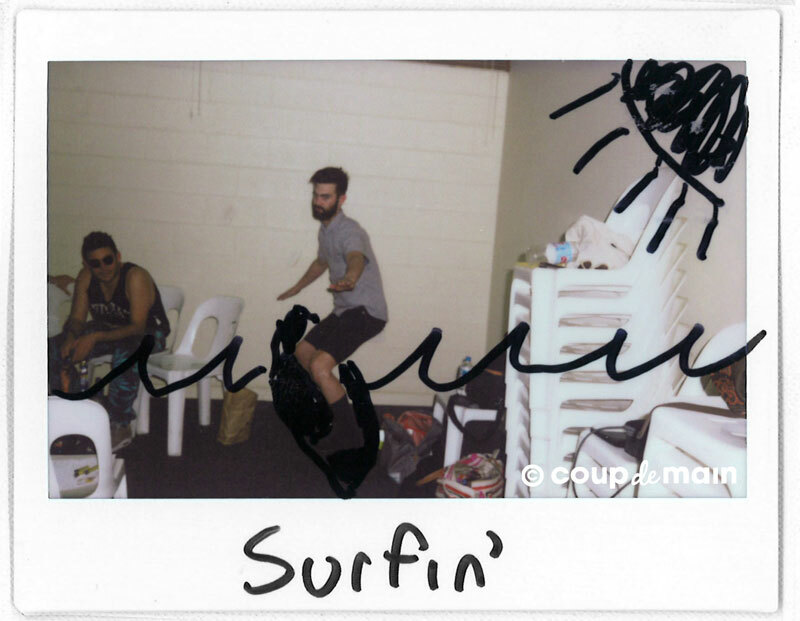 CT: I'll do one along the Tom Cruise lines... I'll go [with] Michael Bay. He's written some of the greatest movies of our time. And we're really looking forward to his next one. So if we were friends, I could probably see a screener of that. CDM: So if Michael Bay was like 'hey, want to write a song for my next Transformers movie', you'd be down? CT: But we'd definitely write one for 'Pain & Gain'! EZRA: 'Pain & Gain', for sure. 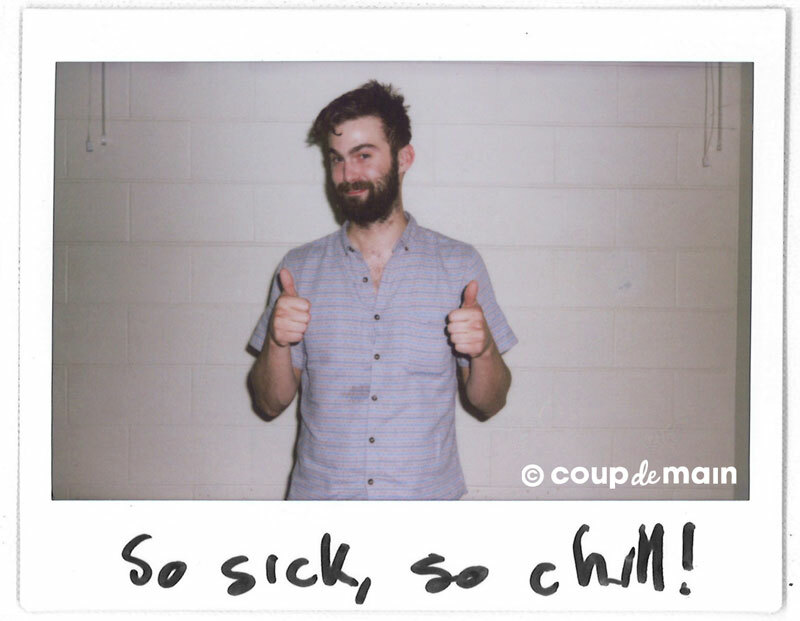 CDM: If Vampire Weekend were to curate a music festival, who would you want to play? EZRA: I'd have us headline. BAIO: And Andrew Dice Clay, for comedy time. EZRA: <laughs> I'd just make it all comedy, and then we headline. CT: Seinfeld would be the main support, he'd be right under us on the bill. He's earned that, I think. ROSTAM: Definitely Michael J. Fox in 'Back To The Future'. CDM: If you could make a theme-song for any old-school video game, what would you choose? CT: 'Crazy Taxi'? That's old-school. EZRA: Yeah, 'Contra' would make sense. 'Contra III: The Alien Wars'. EZRA: Well, we should probably shout-out our most famous New Zealand fan @HEYJANICE. ROSTAM: I know, none could be as good as her. EZRA: She's our biggest New Zealand fan on Twitter and one day we'll come play and say what's up. And to everybody else, we'll see you soon. Vampire Weekend's upcoming new album 'Modern Vampires Of The City' is out in New Zealand on May 3rd, 2013 - featuring the single 'Diane Young'. Click here to read CDM Issue #7. MusicFans review: Haim’s 'Something To Tell You' album.